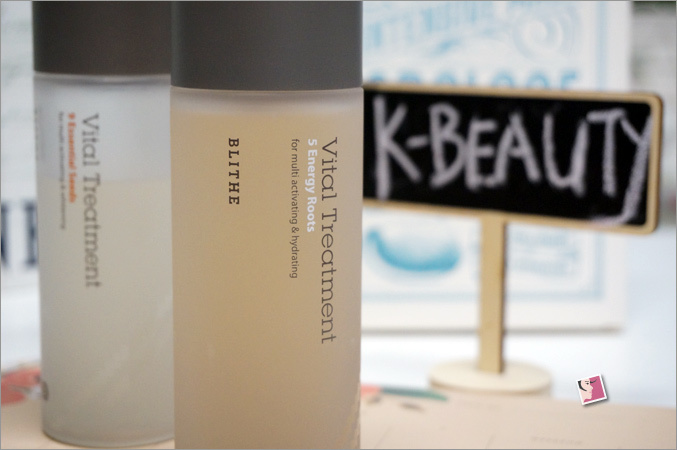 What is Korean skin care brand, Blithe Cosmetic, trying to convey through their name? But when I first came across the brand, I couldn’t help but ponder over their blithe disregard on possible misinterpretations. Perhaps the brand had intended for its name to whet curiosity. If so, it really worked on me. Because I ended up purchasing three of their products when I spotted them at Sephora a year ago. The first thing that caught my interest was that Blithe Cosmetic is one of the few Korean brands that are formulated without parabens, sulfates, phthalates, synthetic dyes, fragrances, and mineral oils. But while their ingredient lists are admittedly cleaner, their formulations are not necessarily greener. So if you’re a green beauty purist, you’ll likely turn your nose up at this range. So besides being unusual and exotic, are these masks really worth it? Especially since their patting water packs had caused such a splashing sensation when it was first introduced? Patting water pack is an inspired idea from the traditional Korean cleansing method using rice water. It’s a concentrated liquid mask that removes fine dusts and dead skin cells by splashing for 15 seconds. The mask is supposed to make skin smoother, and helps with better skin care absorption. For the record, I didn’t buy their patting water packs. I was given sample packs to try. I do find them a novelty but I also think they’re a splashing waste of money…literally. And it’s not like they’re cheap. A 200ml bottle of patting splash mask cost S$54! But these patting masks seem to be popular so I’m not surprised if they do perform. I suppose you really have to try them to know for certain if they’ll make your skin glow. It did nothing for mine so I doubt I’ll ever purchase the full bottle. As for the seafood masks, I’m totally unimpressed. I think they’re positioned to be ultra hydrating masks soaked with exotic marine extracts but they’re so expensive and aren’t half as hydrating as the cheaper ones in the market. I only got them because they were on 50 percent offer at Sasa in Hong Kong. Even then, I still find them costly. Blithe Abalone Sheet Mask is soaked with a cocktail of replenishing marine extracts to optimize skin’s moisture levels. Blithe Sea Cucumber Mask on the other hand helps to brighten the skin tone with its blend of niacinamide and sea cucumber extract. Both comes in a box of 8 sheet masks and cost a whopping S$46 each. 8 x 25g Sheet Masks: Water, Butylene Glycol, Glycereth-26, Dipropylene Glycol, 1,2-Hexanediol, Bis-PEG-18 Methyl Ether Dimethyl Silane, PEG-40 Hydrogenated Castor Oil, Betaine, Carbomer, Abalone Extract, Allantoin, Potassium Hydroxide, Disodium EDTA, Citrus Medica Limonum (Lemon) Peel Oil, Lavandula Angustifolia (Lavender) Oil, Sodium Hyaluronate, Citrus aurantifolia (Lime) Oil, fructan, Eucalyptus Globulus Leaf Oil, Rosmarinus officinalis (Rosemary) Leaf Oil, Juniperus Mexicana Oil, Chamomilla recutita ( Matricaria) Flower Oil, Hydrolyzed Collagen, Biosaccharide Gum-1, Copper Tripeptide-1, Palmitoyl Oligopeptide, Palmitoyl Tetrapeptide-7, Glycerin, Pelargonium Graveolens (Geranium) Flower Oil, Polysorbate 20, Glyceryl Caprylate, Sodium Levulinate, Sodium Anisate. All in, Blithe facial masks don’t work for me. I much prefer their treatment essence. I got hold of Blithe Vital Treatment 5 Energy Roots and Blithe Vital Treatment 9 Essential Seeds. Both work fine for me but I don’t have glowing reviews on them. What I like about both essence is that they’re diluted enough for me to try the Korean 7-skin method with them. They also work well being layered with facial oil or cream. They’re not exceptionally hydrating and I hadn’t seen much noticeable brightening nor energizing results using both products. This is a rejuvenating essence treatment that works to brighten dull complexions, lighten dark spots, and maintain even-toned skin while instantly hydrating with 9 superpowered seeds. Adansonia Digitata Seed Extract, Butylene Glycol, Camellia Sinensis Seed Extract, Chenopodium Quinoa Seed Extract, Foeniculum Vulgare (Fennel) Seed Extract, Nelumbo Nucifera Seed Extract, Oenothera Biennis (Evening Primrose) Seed Extract, Rosa Canina Seed Extract, Salvia Hispanica Seed Extract, Vitis Vinifera (Grape) Seed Extract, 1,2-Hexanediol, Glycereth-26, Niacinamide, Aqua (Water), Betaine, Hydroxyethyl Acrylate / Sodium Acryloyldimethyl Taurate Copolymer, Allantoin, Citrus Grandis (Grapefruit) Peel Oil, Limonene, Disodium Edta, Leuconostoc/ Radish Root Ferment Filtrate, Xanthan Gum, Polyglutamic Acid, Glycerin, Candida Bombicola/ Glucose/ Methyl Rapeseedate Ferment, Argania Spinosa Kernel Oil, Olea Europaea (Olive) Fruit Oil, Pancratium Maritimum Extract. I reckon Blithe Cosmetic has some interesting and innovative masks but they’re just not my cup of tea. Their vital treatment essence are decent but if I were to pit them against my favorites (Aromatica, Whamisa, Su:m37), they don’t quite stand a chance. They would have to be priced much lower for me to consider a repurchase. Oh, I also haven’t mentioned their press serums. For all you know, these could be their saving grace as they’re touted as game-changers. But I can’t tell since I’m not sure if I will ever get down to trying them. If anyone has tried their serums, do weigh in with your views. Well, whatever my take on the brand, I’m still glad that more people have access to Blithe Cosmetic now that they’re available at Sephora. At least that makes testing the products so much easier. Who knows…you may actually find something in their slate that works for your skin. I was intrigued when the splash mask popped up on the shelves and waited a while for the reviews to come. Mostly on how they arenâ€™t impressed with the splash mask so I gave it a miss. The essence treatments look decent to try, perhaps will check those out before I finish my current essence. I guess it depends on individual skin type. I suspect it might work better for those with acne prone skin and this product helps clear their skin of the blemish. I think it’s a novelty. The splashing is interesting but I find it expensive. The essence treatments are decent and works well if you adopt the Korean 7-skin method but they’re too ex IMO for that. I have read mixed reviews about blithe essence and i am still confused if i should go for it ? Have you tried klairs toner ? Blithe’s is decent but not great. For that kind of price point, I recommend you try Whamisa or even Aromatica (although theirs is called a serum). I’ve seen the Klairs toner but didn’t quite like the first few ingredients I saw on the list. But it seems to be very well reviewed. Have you tried Pyunkang Yul? They seem inexpensive and might be a more affordable product for layering purposes. Thank you for sharing the review on these products. 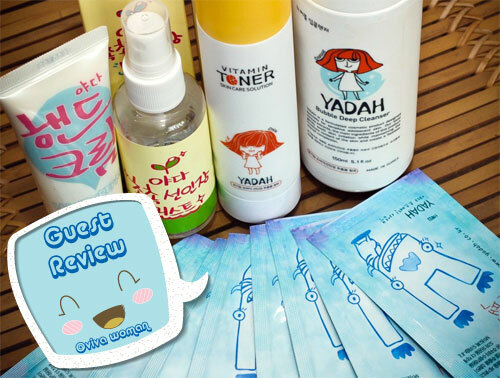 Thanks for sharing review on these products. 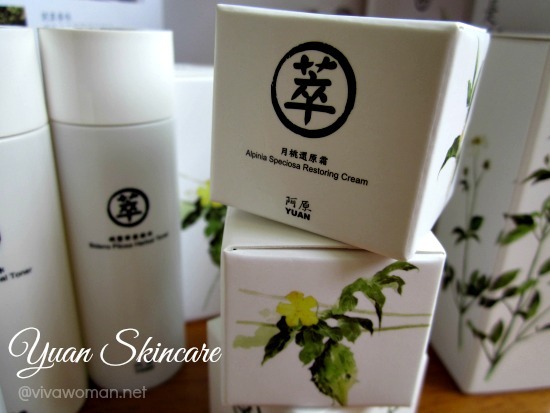 It helps me making some reviews about the best products to use for skin care. Hi wanted to know if Whamisa ,blithe cosrx r still available in Singapore . Pls lemme know thx . Whamisa is available online (Cocomo) and Blithe is available at Sephora. You can try getting Cosrx at Hermo. Haha…okay…I’ll try. But have patience with me k? I’ll definitely be taking a look at Whamisa if you think they perform better than Blithe. thanks for sharing this beautiful cosmetic ideas. i can get more informative tips from your blog. Blitheâ€™s is OK. my wife has no complaints yet. its been a month she is using it. Blithe works the best for me. go for it.